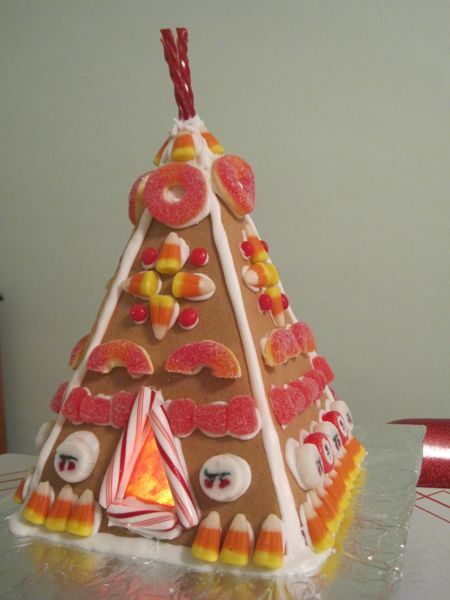 Gingerbread tipis – what to do with them? Hi. My name is Katie, and I have an obsessive baking problem. I grew up in a home where I would sometimes come home from school to the smell of fresh-baked bread, where every birthday cake was homemade and hand-decorated, where you knew a special event was coming up when a batch of creme de menthe brownies came out of the fridge, where baking/frosting/decorating Christmas cookies was a beloved annual family tradition. One year, shortly after I was married, I felt the need to flaunt my domestic goddess chops, and I made a gingerbread church, complete with stained glass windows. (I didn’t have an electric mixer and wound up with blisters from using a spoon to beat the frosting to fluffy peaks.) 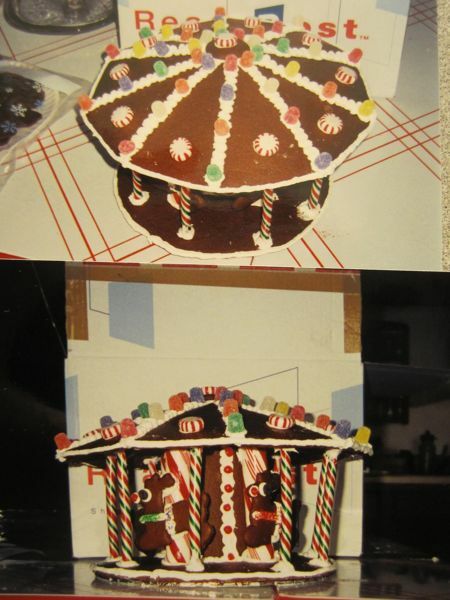 Just about every year after that, I made a gingerbread structure and either decorated it myself or gave it to other people as a gingerbread house kit gift. Last year, I made a gingerbread rural western church, complete with gumdrop longhorn cattle. I auctioned that one off at work to benefit the United Way. This year, I wasn’t sure I’d have time to do any holiday baking. I wasn’t even sure it was a sane thing to attempt. But this past weekend, I aggressively blocked off some time for baking. I wanted to make another structure that paid homage to my new “rural west” home. So, with a nod to the first residents of this valley, I made . 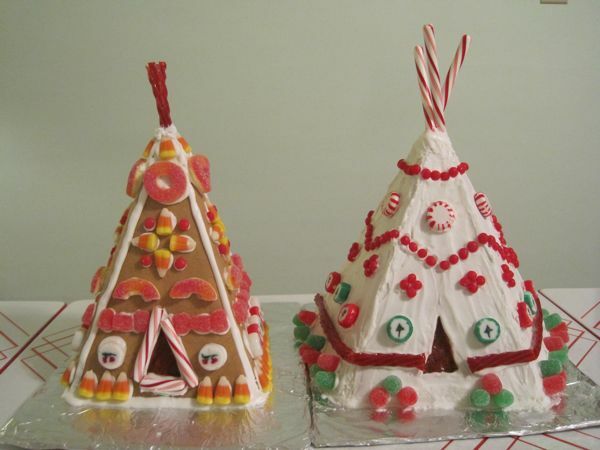 . . two gingerbread tipis. 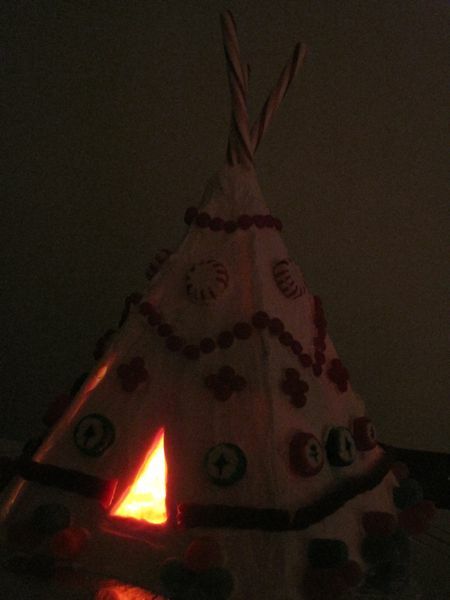 The white tipi was made in five pieces a la a pattern I found on That Artist Woman. 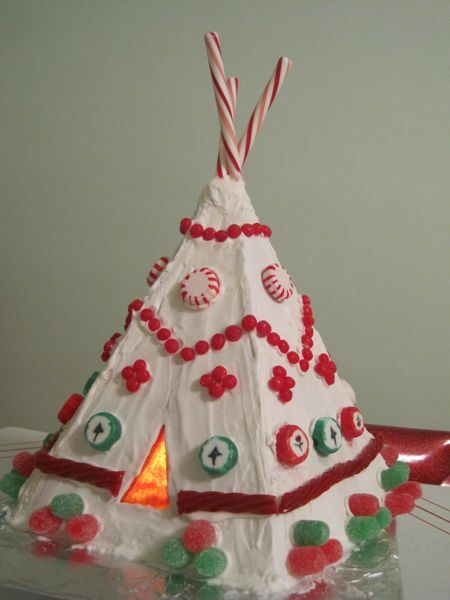 I used strips of tinfoil glued inside the structure with frosting and a frosting-covered gumdrop just inside the peak to hold it all together and accomplish my tipi-raising single-handedly with a minimum of cussing. 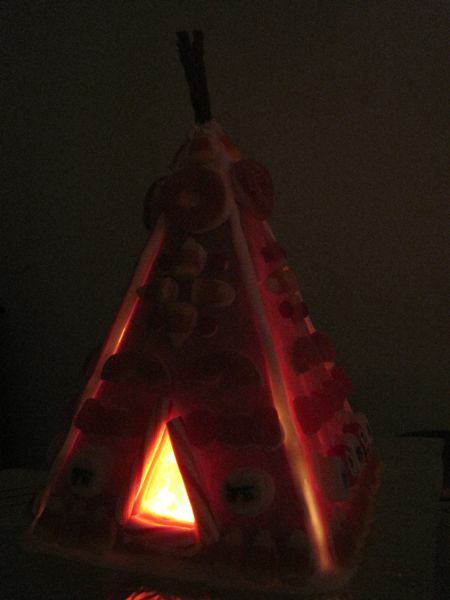 The candy corn tipi is just four pieces. 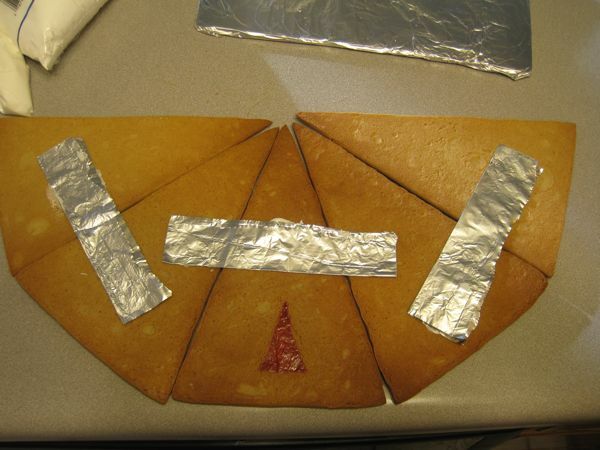 It was easier to construct. Plus, I had broken one of the triangle pieces in attempting to put up the first tipi. If I’d had the time, I would have done up the grounds around the tipis, too, possibly with gumdrop bison. In any case – WHEW! – I got my obsessive baking done for the season. Check! The major question hanging in the air right now is . . . what am I going to do with them?!?? In years past, I could have relied on my nephews to help me eat the structures (it’s great fun to take a kitchen hammer to that cement-like meringue frosting! ), but they’re getting to the phase in life when a big pile of candy isn’t so exciting anymore (nor is hanging out with “old people”). 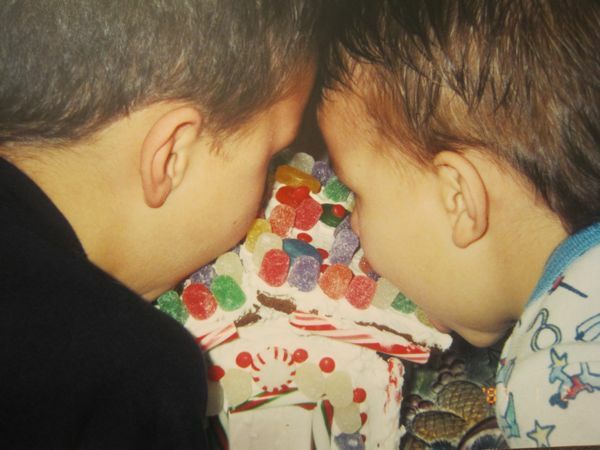 Nephews nomnomnoming on their assembled gingerbread house kit, circa 2001. If I had thought ahead, maybe I could have contributed my tipis to a silent auction/raffle prize at the special Scottsbluff winter farmer’s market on Friday (post on this tomorrow) to benefit the Lakota Lutheran Center. Or maybe I could have used them to benefit my museum in some way. Wanikiya tonpi wowiyuskin! Omaka teca oiyokipi!